Our fisherman's house is located in the city center, both quiet and close to the port, the walled city and shops. The beach is 20 minutes walk / 6 minutes by bike. Alone, in couple or with family, on vacation or just passing through, you can enjoy walking to the blue city and discover our beautiful region of Finistere South. Travel light: Sheets and towels provided. Stroller, cot, high chair, plastic cutlery, children & family games available. The house is composed, on the ground floor, of an entrance with WC, a living room gathering kitchen equipped, friendly room and warm living room, a small extra bedroom with mezzanine and an outdoor courtyard furnished where you can have lunch on sunny days. Upstairs there are 2 bedrooms and a bathroom with bath and toilet. We loved the comfortable beds and other furniture. The secluded courtyard patio was ideal in the evenings. 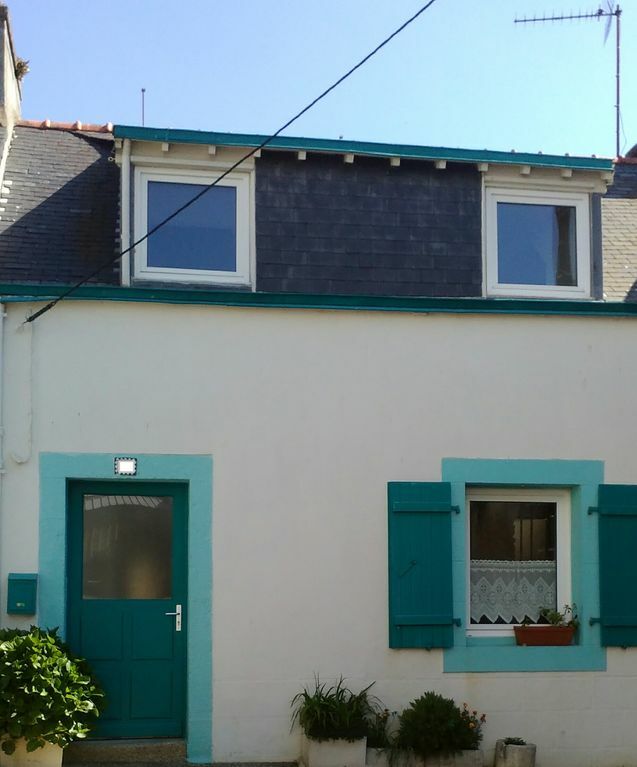 The location was within easy walking distance of Concarneau centre. We look forward to share our good addresses and our favorite walks.